If you are a fan of alternative medicine or have a head for science, this book should be on your reading bucket list. 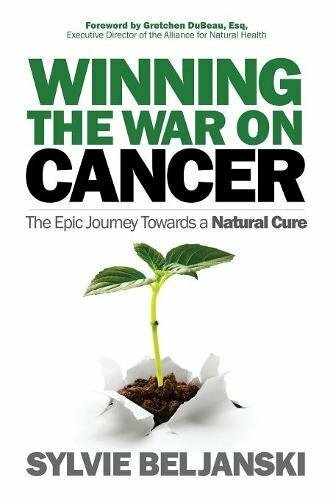 “Winning the War on Cancer: The Epic Journey Towards a Natural Cure” is both controversial and undeniable. In it, author Sylvie Beljanski tells the story of her father, Dr. Mirko Beljanski and his crusade to fight cancer naturally. After having discovered two plant extracts that target pancreatic and ovarian cancer stem cells, Dr. Beljanski’s research efforts are nearly obliterated by the French government. The significance of Beljanski’s findings and the subsequent trials and tribulations he and his team face all combine to create a read similar to a thriller novel. Initially, Sylvie’s book paints a dismal picture of botanical medicine. She describes the rift between pharmaceutical drug companies and researchers of natural remedies. The author cites that the greatest obstacle for natural medicine is that it cannot compete with money making synthetic drug companies. As she continues on, Beljanski remains hopeful. She adopts her father’s mission to provide legal proof of the benefit of natural medicine and advocate for its widespread distribution. As a practicing attorney, the author submits numerous facts and historical details to persuade readers to take up the fight for access to alternative medicine. In addition, Beljanski interjects her story with plenty of personal and patient narratives to lend a human quality to the material presented. Her stories bring you face to face with the problem. There is no need to possess a science background to read this book, but it can be daunting at times. It behooves you to stay tuned in, however, as the information imparted is valuable and eye opening. Sylvie Beljanski does well to educate and validate the importance of plant extracts and stem cell research by providing understandable analogies and terminology. Her descriptions are intended to bring the concepts out of the lab so that the information is accessible to the average person. She does this so thrillingly that her story makes you want to keep turning pages. Beljanski’s voice is convincing and impressive. She expresses herself with a proficient medical vocabulary. The processes of DNA, RNA, HIV and various cancer formations are clearly and adequately explained. Her tone is insistent yet Beljanski’s assertions are certainly reasonable considering her family’s ordeal and the importance of the subject. As it happens, the enthusiasm she exerts only adds more validity to the text. In “Winning the War on Cancer,” Sylvie Beljanski accomplishes her intention - to publicize the adversity placed on natural cancer treatments by governments and the pharmaceutical industry. Her tome is an interesting combination of scientific journal, memoir and history book. She reiterates the fantastical story of Mirko Beljanski and his heroic effort to seek natural cures and antidotes without toxic side effects. As his daughter, Sylvie Beljanski takes on the system and upholds his legacy by continuing to promote his research and products. This book’s controversial flavor makes for an exciting read. I would recommend it without reservation to those curious about the future of alternative medicine and, particularly, in the holistic treatment of cancers.